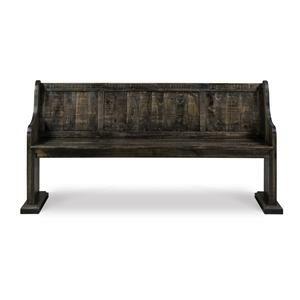 With this handsome banquette in your home, the vibe of your dining table will be forever transformed into the chic style you have been looking for. The high back and plush seat make it easy to relax and enjoy a meal with your family and friends in peace. 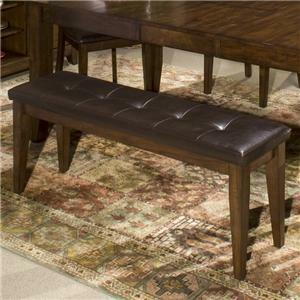 Tapered legs complete the beautiful banquette's transitional look for the ideal stylish addition to your dining room. 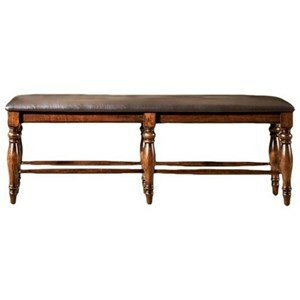 The 2405 Dining Banquette with Tapered Legs by Huntington House at Belfort Furniture in the Washington DC, Northern Virginia, Maryland and Fairfax VA area. Product availability may vary. Contact us for the most current availability on this product. Wood & Finish Available in the following finish options. Distressed American Cherry, Distressed Beach Wood, Distressed English Saddle, Distressed Java, Distressed Nutmeg, Distressed Weathered Gray, Distressed Old World, American Cherry, Beach Wood, English Saddle, Java, Nutmeg, Old World and Weathered Gray. Fabric Content Fabric and leather patterns are measured and marked by hand to insure accuracy. Fabrics and leathers are individually cut by hand with great attention to detail and quality standards. Our cutting and sewing departments follow strict guidelines to assure the highest standards in fabric matching and high-end upholstery tailoring. Fabric Options Available in hundreds of fabric and leather upholstery options.